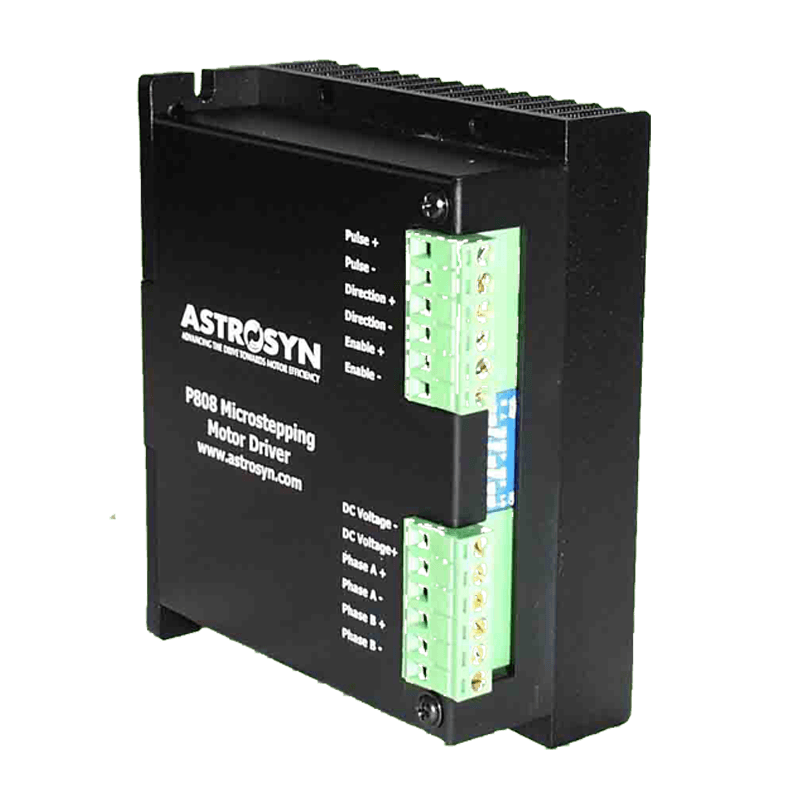 The model P808A high performance microstepping drive suitable for 2-phase and 4-phase hybrid steppers requiring a drive current of up to 7.7A / phase. The design features an advanced bipolar constant-current chopper circuit with current control Technology. 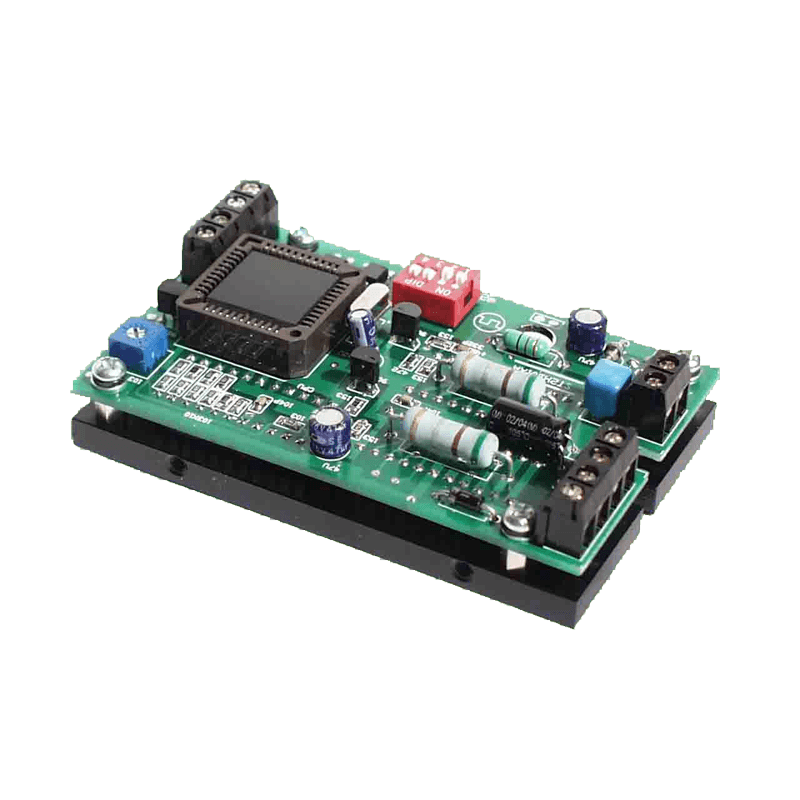 suitable for stepper motor control applications requiring low noise, low vibration, high speed and high precision. TTL compatible and optically isolated input signals. Suitable for a wide range of stepping motors of size NEMA 17,23, 34 and 42. Usable for various kinds of machines, such as X-Y Tables, Labeling machines, laser cutters, engraving machines, and pick-up devices; particularly useful in applications with low noise, low vibration, high speed and high precision requirements. This drive uses differential inputs to increase noise immunity and interface flexibility. Single-ended control signals from the indexer/controller can also be accepted by this interface.The input circuit has built-in high-speed optocoupler, and can accept signals in the format of line driver, open-collector, or PNP output. Line drive (Differential) signals are suggested for reliability.